Everything Teaching TESOL: How Do I Structure a Multi-Level Lesson? Challenge: How do I plan a multi-level lesson that will decrease chaos and increase learning opportunities? Macro segments: Create a shell that has a warm up, an introduction, a lesson, and a closing section. If you're doing a receptive or productive lesson, take into consideration how each level will move through each (together, apart, mixture). Micro segments: Plan on whole group, small group, and pair activities throughout the lesson. Even having just a couple of segments that allows students to work at their own levels can make a difference. Familiar Routines - help decrease chaos and help you notice when to adapt your lesson. Regular Comprehension Checks - help you take the pulse of both groups of learners. Productive and Receptive Lessons - help you shape a global format (Pre-During-Post). Short Segments - help focus on incremental components of language. Collaborative Learning - help students work in equal or mixed ability groups. Challenge: How and when do I group students in a way that supports and encourages growth? Equal Ability: This type of homogenous group is levels based. The lower level learners work together (either in pairs, small groups, larger group), and the higher level learners work with other higher level learners. Mixed Ability: This type of heterogenous group is mixed. Lower and higher level learners work together (either in pairs, small groups, larger group). Variety is the Spice of Life: Mix it up and have opportunities for both kinds during a lesson. Smooth Transitions: Consider how to efficiently transition students from one group to another. Grade the Task Not the Text: Give different tasks at times can meet the needs of all students. Challenge: What sorts of appropriate tasks can I give my students that accommodate multiple levels of proficiency? Same Tasks: Students do the same task but the level of teacher support or output may vary. The lower level learners have a lot of teacher support and the higher level learners have less support. Lower level learners produce less than the higher level learners. KISS: Keep it simple and use the same resources in different ways. Teacher Time: Visit each group and work with them at their respective levels. ZPD: Consider how to vary support for the students based on their individual needs. Board Work - Bring one level of learners to the board and work with them while the other group is engaged in a task at their desks. Do What You Can - Lower level learners write 5 sentences using the key vocabulary; higher level learners write 10 sentences. Stations- Use stations to provide students with varied levels of support by having each proficiency group work with separate stations for equal ability groups; the same stations with mixed ability groups that has the support the lower level learner needs. Working in a Multi-level learning situation can be a maddening or marvelous experience. Structuring the class to account for the different levels of learners can really help decrease the chaos and increase the learning. While you're planning your lesson, remember to pay attention to how the lesson will flow from mixed to equal ability groupings with tasks that are appropriate for each level of learner. The Next Issue of Everything Teaching TESOL: How do I teach in a manner that engages all learners? Howdo I plan a Multi-level lesson? TESOL Trainers is an educational consulting firm that scaffolds students into success, one teacher at a time©. 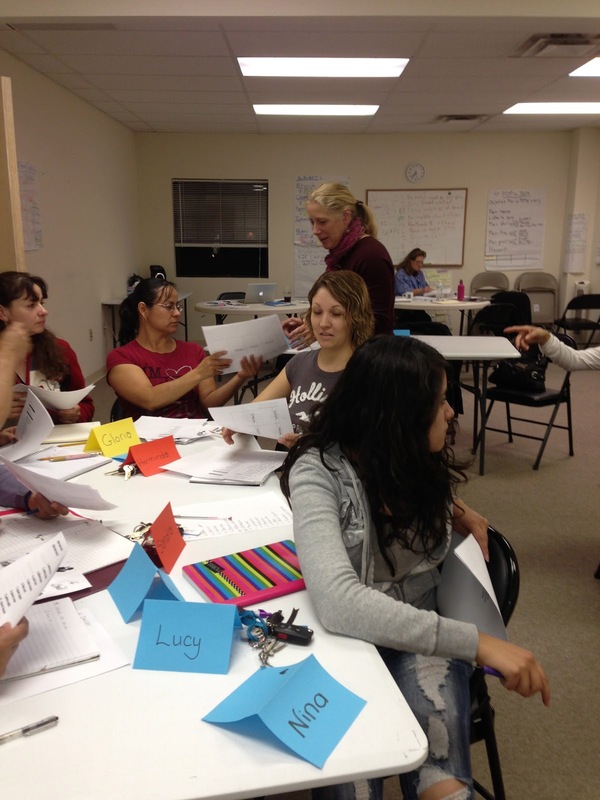 TESOL Trainers provides professional development to K-23 private and public educational institution. TESOL trainers can help you teach your way around the world©.